The telecom providers are started introducing new and beneficial schemes for its subscribers. Recently, Airtel announces its fifty percent cash back offer for internet pack during midnight hours to 6.A.M. Now Aircel also announces its free calls for Aircel to Aircel from 6.A.M to 8.A.M. The subscribers can enjoy this service for just one rupee per day. To enable it, the users can recharge for 1 rupee in ETOP or they can just dial *121*6290#. This scheme is currently available in thirteen circles of Aircel. 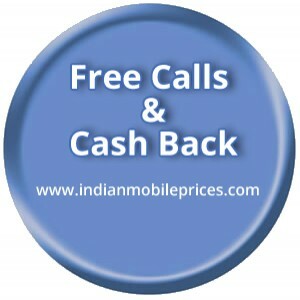 The subscribers will be charged one rupee for every first call and the next consecutive calls will be absolutely free. The service was announced to benefit women employees and students who starting early from their respective places. The users can also enable the scheme from customer care or IVR facility. This service was named as “Good morning”, now its subscribers can also say free good Morning to their family and friends for just one rupee. Airtel internet fifty percent cash back offer is currently available in many circles the scheme works if you use the internet during midnight till 6.AM. For example: if you spend 200 MB in the night, you receive 100MB in the morning. Thus, you can spend and save the internet every day in night times. So, why waiting for grab both the SIM cards and enjoy free internet and free calls all day.